This band is the alternative to traditional progressive music---answering the call for outstanding musicianship, meticulous songwriting and a defiance to the status quo. Black Plastic Sun is the long-awaited followup to 2009’s d_letion which marked a darker and at times, minimalistic approach to songwriting. 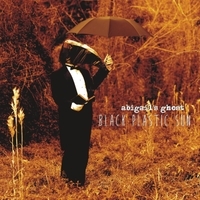 BPS sees Abigail’s Ghost returning to their melodic art rock roots but with a twist: the album is highlighted by a heightened sense of maturity with regards to composition, arrangement and production. Melody makes its triumphant return, becoming the obvious focal point of every single track. This gear shift can be attributed to band’s development as songwriters, beginning with the “hook” and ending with the accompanying orchestration complimenting the original concept. From initial conception to release, BPS was five years in the making. But despite having been written in spurts over the course of a half-decade, recorded at four different studios and having been plagued by budgeting issues it developed into what is arguably the most cohesive sounding Abigail’s Ghost album to date. The band has always been known for it’s dynamic (and maybe diabolical) approach to song form with musical intensity ramping up and tapering at unexpected intervals. BPS puts the band’s propensity for making interesting music on full display, matching and ironically mismatching musical pace and intensity with lyrical content and inflection. For the first time ever Abigail’s Ghost shows us a playful and satirical side which never once detracts from the overall feel of the album. Fans of the band’s earlier work will definitely be in for a treat with BPS and while the instrumental solos and excessive song lengths (the longest clocks in at nearly nine minutes) might intimidate modern pop music enthusiasts, the majority of the “progressive” elements might go unnoticed to listeners not fully engaged in finding them. There is certainly no lack of lyrical depth on this album, offering even the most analytical consumers of music something meaningful to sink their teeth into. The songs also groove well enough to make heads nod metronomically over the odd time signatures and polyrhythms scattered across the eleven tracks. Perhaps the defining strength of Black Plastic Sun is its uncanny ability to sneak progressive music into the cheerios of an unsuspecting public.